5 Stop Over options to Sydney for 2019! Contacat Travel Time for more information or to book! * supplier terms & conditions apply! Lead by real-life explorers who have been traversing Antarctic waters for decades, who also lead an inspiring enrichment program at sea and on land. Luxuriate in a truly all-inclusive experience, orchestrated by experts and including everything from all-balcony accommodations to complimentary Wi-Fi and laundry to beautiful, French-inspired cuisine complete with an open bar. Contact Travel Time to find out more! Real-life explorers who have been traversing Antarctic waters for decades and who lead an inspiring enrichment program at sea and on land. You’ll also luxuriate in a truly all-inclusive experience, orchestrated by experts and including everything from all-balcony accommodations to complimentary Wi-Fi and laundry to beautiful, French-inspired cuisine complete with an open bar. Horse back riding, culinary delights, river rafting and more! Click and discover what adventures await! North America’s landscape is so incredible vast and diverse that it’s almost impossible to summarize in just a few words – there’s just so much to see and do! Aboard National Geographic Explorer you will venture to remarkable locations—some iconic and oft-visited, others remote and seldom-seen—in England, Ireland, and Scotland. As you sail among the isles, you will explore by Zodiac the dramatic, pillar-like formations of Fingal’s Cave, discover the sleeping form of the Mud Maid in the Lost Gardens of Heligan, and walk among the Neolithic stones at Callanish. The stirring landscapes, charming towns, ancient history and modern sites all make for an unforgettable voyage. Now booking 2019 and 2020 departures. Drive in a private reserve bordering Kruger National Park, and experience the jaw-dropping beauty of Victoria Falls. Experience the Trip of a Lifetime with G Adventures! G Adventures is an adventure travel pioneer offering the planet's most awe-inspiring selection of affordable small-group tours, safaris and expeditions. 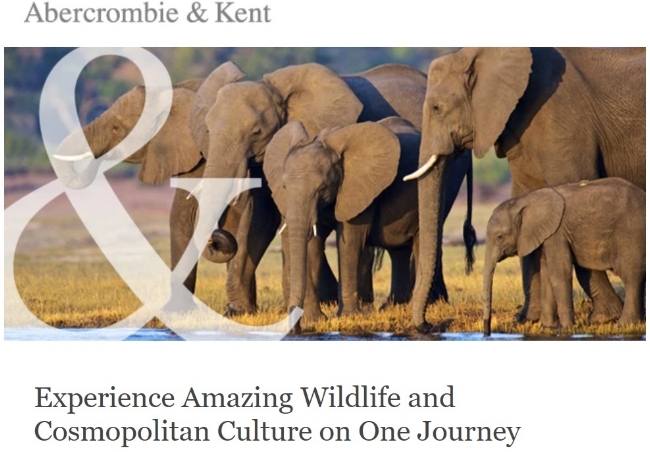 G Adventures' award-winning trips embrace authentic accommodation, exotic cuisine and local transport to put travellers on a first-name basis with the planet's people, cultures, landscapes and wildlife. And when you travel with G Adventures, you support local communities and help make the world a little bit better for everyone.